It may not have been too crazy for me to think I could keep clear of the zombies in the Quarantined Area.On the news everyone kept saying these are "slow zombies." They're dangerous, diseased, and mostly impervious to pain, but not the sort of terrifyingly speedy hunters that have been popular in movies lately. My plan to run in there was risky, but I like to think not completely doomed. I planned around my talents instead of just deciding I'd somehow figure out how to execute a standing long jump of multiple feet once I found myself staring down at concrete two stories below a rooftop. I trusted the only thing I've been able to rely on my whole life—my legs. 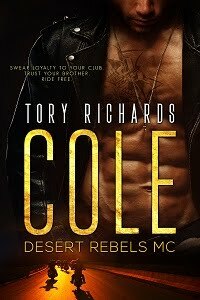 Did you miss Annabeth's previous titles with Breathless Press? Not to worry. 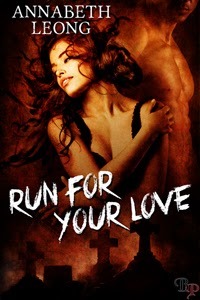 E-mail proof of purchase of Run for Your Love, such as an Amazon receipt, to annabeth dot leong at gmail dot com and let her know your e-book format of choice. Annabeth will buy a copy of her werewolf novella, Not His Territory, for anyone who sends this information before November 12, 2013.